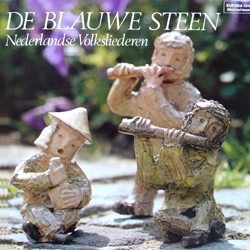 The selection on this record offers a series of less known Dutch folksongs covering largely four centuries (from the 16th to the 20th century). There was no attempt to give a representative cross-section of the Dutch folksong, neither by theme, nor by find-spot. It simply let you hear some beautiful songs in a performance which was felt to be valuable from artistic point of view. "Guy De Mey, assisted by the delicious playing of Raphaella Smits and Walter Heynen, proved once again that Flanders is enriched with a tenor of exceptional class. A listening feast."